When you create a flipbook online at Yumpu, your publication can be viewed anywhere, anytime. Start to create your flipbook at Yumpu.com for free now. Stunning, highly visual content gets noticed, whether you’re promoting your business or moving your print publication to the next best thing. If you’re going big on a budget, online publishing is the most affordable way to put your business on the map. A digital flipbook is easy to read, easy to share, and completely portable – they look excellent on mobile devices. Readers enjoy the smooth interface and lifelike visual experience. Step 1: Create your PDF. The first thing you’ll need to do is create PDF files of your publication. Adobe Photoshop creates highly visual documents. If you’re not savvy in Photoshop, or just want to shorten the process, you can download a template. Run a Google Search for “Photoshop Template Magazine” and choose one of the many options, then open it in Photoshop and add your own images and text. Depending on your version of Photoshop, you may or may not be able to save multiple pages as a single PDF. file. Instead, you can save each page as its own PDF. Then, you can combine multiple PDFs into one with a service like PDFMerge – it’s free! While you may not be able to create as intense visuals with special features as you could with other software, Microsoft Word is surprisingly efficient for creating a PDF for your free flipbook online. You can make a cover in another software like Photoshop it and insert the image on the first page. Or, you can insert text and photos to make the cover and layout on each page. Microsoft Word also allows you to add columns. Add a page break to accurately make pages of content in a way that is engaging and visually pleasing. You can also download magazine templates for Microsoft word around the web. When you’re done, simply choose “PDF” as your file format while saving. If you have Pages on your iPad or Macbook, you’re equipped to make an impressive spread. You can make a PDF from your Pages document by selecting Share > Email > PDF. Microsoft Publisher is a free powerful publishing flipbook software, and like Pages, you can arrange the images and text in any way you’d like to make a truly unique spread. You can save your .pub files to .pdf with a service like Publisher To PDF. Once your PDF. file is saved, you’re ready to publish your content. 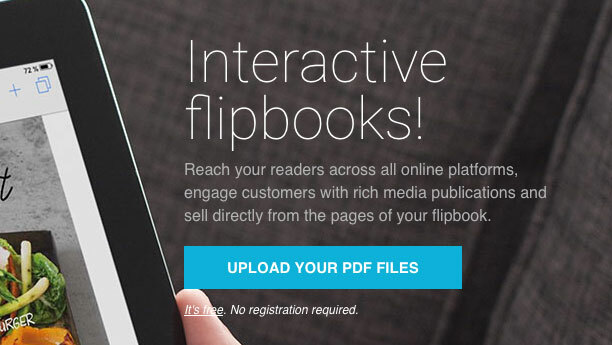 It’s free to upload your PDF file to FlipSnack to create your digital flip book, but you have to login to get an embed code. You can customize your FlipSnack url for easier sharing. Another perk: you can easy use JPG files, too. Being able to upload multiple files at once makes it easy to make as many pages as you need. 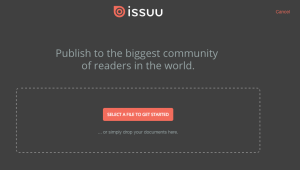 Issuu is a great place to start whether or not you have a website. You can publish publically so the online community can read and share it. If you’re looking to grow your audience, it’s a good option. 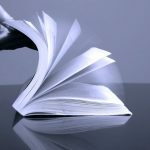 All you have to do is select your PDF file and your free digital flip book is created in seconds. You can use the Issuu app for free at the basic account level. It comes with a lot of handy tools, like Statistics to see how many people have been reading, Liking and Sharing your content. You can even add the Facebook app to your Facebook page to share your content with your social media fans. There’s also tools to help you collaborate with your team. When your flip book is published on your chosen platform, all you need to do is grab the embed code and place it on your website. FlipSnack places a watermark over your embedded ebook if you have a basic, free membership. If you upgrade to premium, you’ll get to embed without the watermark, and access to more features. Issuu allows you to embed your newly created ebook online to your other audiences. You can choose styling options to change the size, background color, and even activate automatic page turning. Alternatively, you can use a WordPress flipbook Plugin to easily display your publications on your blog. 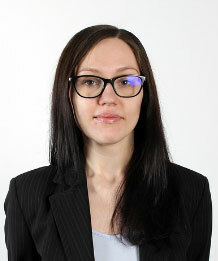 The best Solution for Happy Publishing called Yumpu! Hello! I want to send out a push notification to all readers with my Apple iOS App – how can I do that? 4. Now choose a message and when the notification should be sent out. It can also be sent out immediately. Hit “Send”! I am travelling and working on a great photo series. Having a publishing tool like this at hand would hel me a lot promoting my book. Tell me Hary, do I need a good internet connection to produce a flipbook like that? No need for a fast internet connection. The upload is done in seconds. Keep on travelling and enjoy Miros! I work with Yumpu now. When I embed our magazines a message appears on roll over saying ‘Click to read’ am I able anywhere in the admin to change what this says or set a different default language? yes you can. In the embed wizard in the tab “Click to read button”. Can I also customize my design with another publishing tool? Or is flipsnack the only one who provides that kind of feature? This is great! Thanks for the awesome Step by Step instructions. Got mine done in no time! Works perfectly on the phone! I could share my favorite magazine with a friend. The visuals are excellent and it’s also easy to read. Thumbs up! Is Yumpu really the best alternative? Is there anyone – besides the author of this article – who made his/her experience with yumpu? Great article! Exactly what I was looking for!